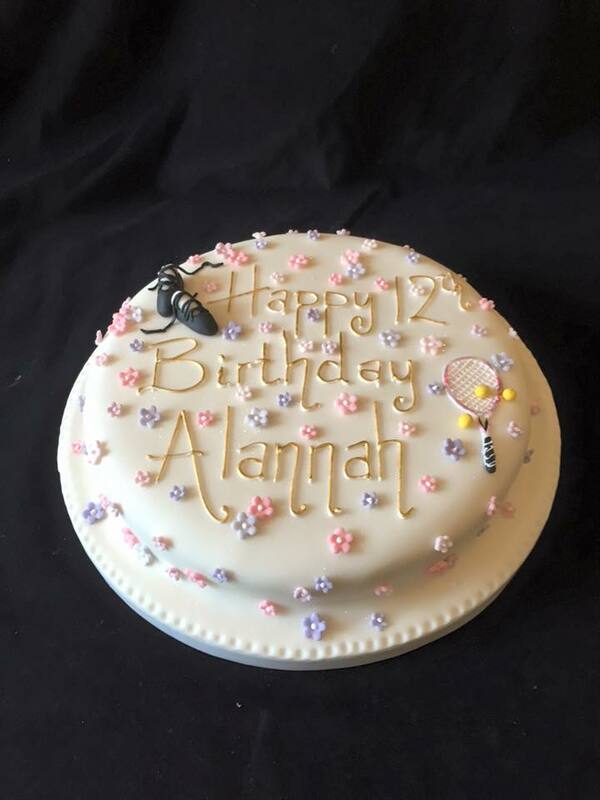 A pretty flower covered cake with little dancing shoes & tennis racket. Chocolate Biscuit cake covered in white fondant with pink & purple flowers, great for any girls birthday! This cake can be customised to your darlings hobbies!